Our bodies can utilize two different energy production systems. One requires oxygen to release the energy stored in the food we eat, while the other can release energy without oxygen. As distance coaches you must train both of these energy systems if you want to he help your athletes be successful at distances of 800 meters and greater. We refer to these types training as Aerobic Training (with oxygen) and Anaerobic Training (without oxygen). In the clip below Coach Scott Christensen discusses what he refers to as combined zone training. The 5k cross country race can be divided into two zones. The comfort zone which he describes as the first 80-percent of the race and the critical zone or final 20-percent of the race. A runners aerobic training is what gets them through the comfort zone, the part of the race where he/she are running easily. 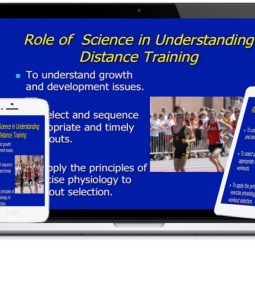 The critical zone, which relies on the bodies ability to produce energy both anaerobically and aerobically , is where the race is won or lost. 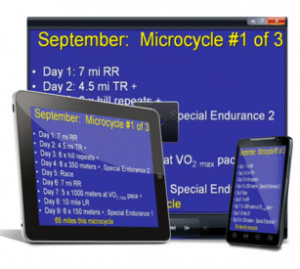 Keep in mind when planning your training for combined zones races like the 5K aerobic training requires 20-24 weeks and anaerobic training requires 9-11 weeks. Therefore it would be wise to begin your anaerobic training early in the season. Scott Christensen’s program is available for immediate digital access or on DVD. Click the image or the link for more info on his Complete High School Cross Country .